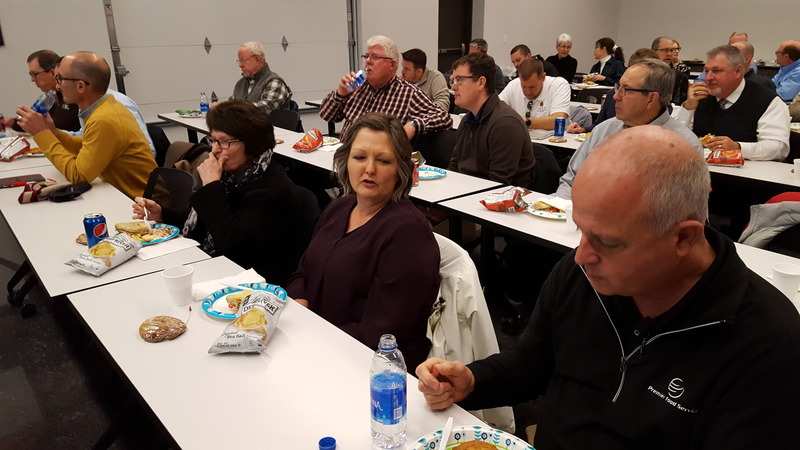 Conco hosted the Wichita Facilities Management Chapter of IFMA on Thursday February 7th. 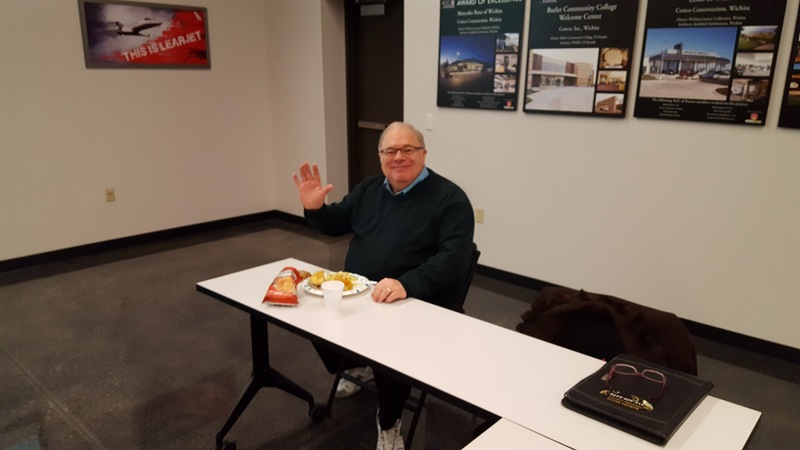 The meeting was presented by Mike Smith, President and Founder of MSE Creative Consulting. Mike discussed managing for extreme weather conditions. The topic couldn’t have been more relevant; with the weather we’ve had lately! It was great exposure for our Facility Performance Group! 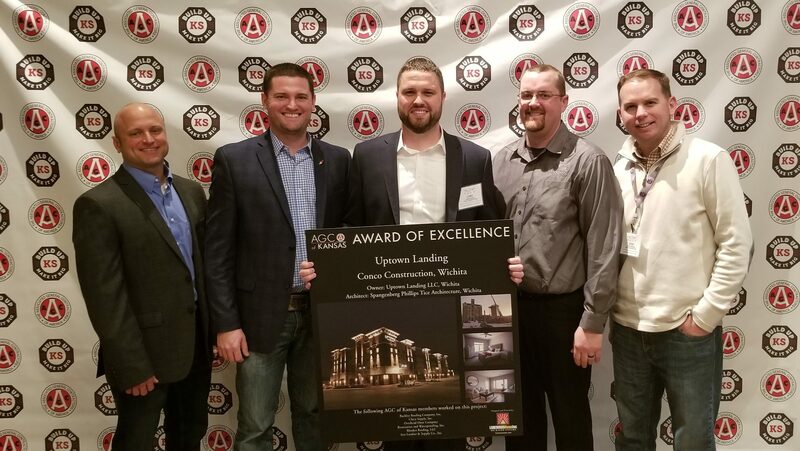 Conco was also awarded the prestigious 2018 AGC Safety Award of Excellence at the AGC Awards Lunch last week. Conco was identified as the leader in jobsite safety and culture for firms with 250,000-400,000 man hours. We are thankful for the hard work of our safety committee and our Safety Manager Dennis Kalp. Through their leadership the safety culture on our jobsites continues to rise! Our safety record shows how seriously all Conconians take the safety and wellbeing of all people on our jobsites! We’re excited to roll out more initiatives and priorities for safety in 2019 so be on the lookout at Safety Day in just a few weeks! Congratulations and great work! 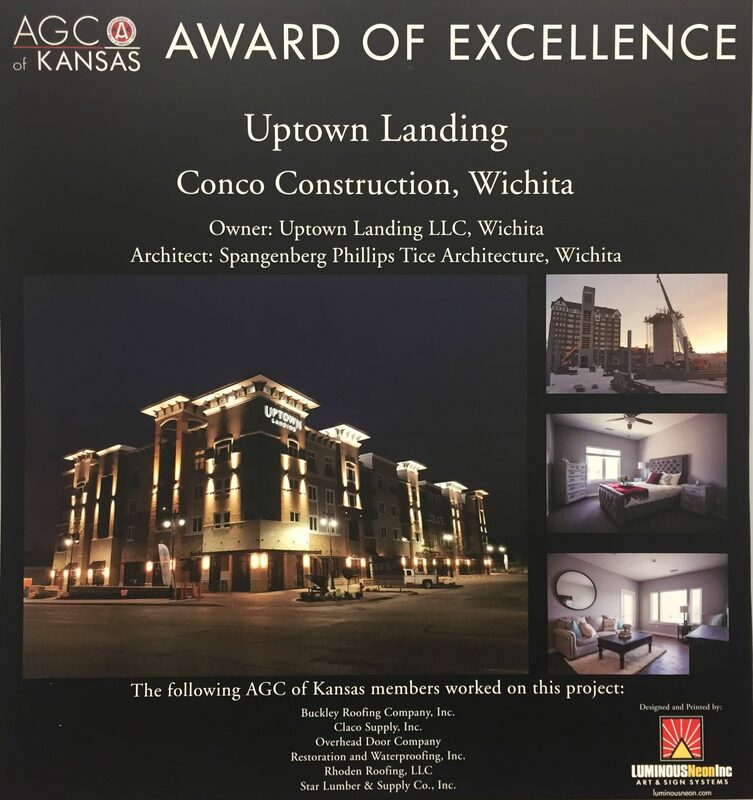 The Conco Construction family was well represented at the AGC Awards Lunch last Friday where our team took home an Award of Excellence for the recently completed Uptown Landing project. 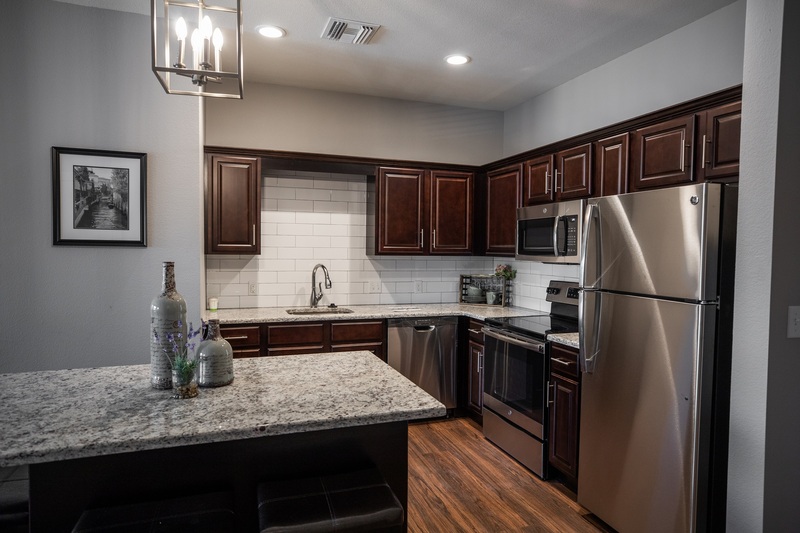 This project was identified as one of the premier new construction builds in the state during 2018! 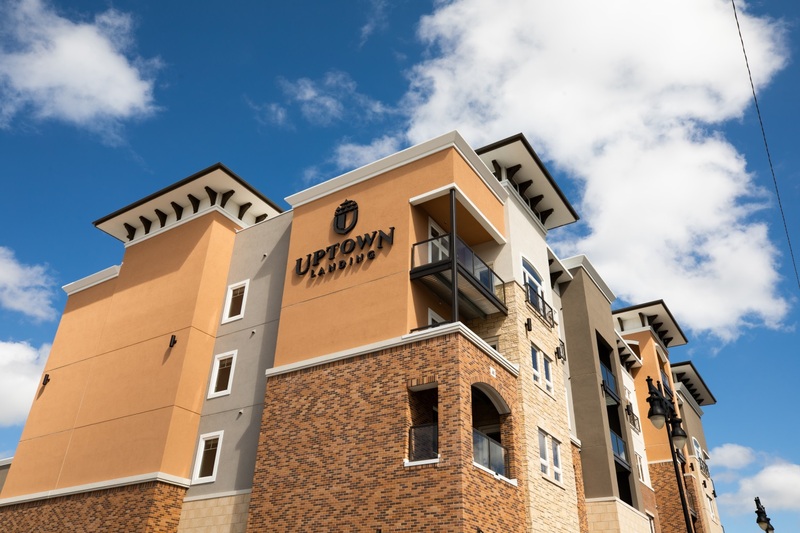 We are thankful for the Uptown Landing ownership group, the design team at Spangenberg Phillips Tice Architecture, and all of our partners who made this project a success! This is truly a team award and exemplifies the effort and skill of our entire organization. Great job and congratulations team Conco! 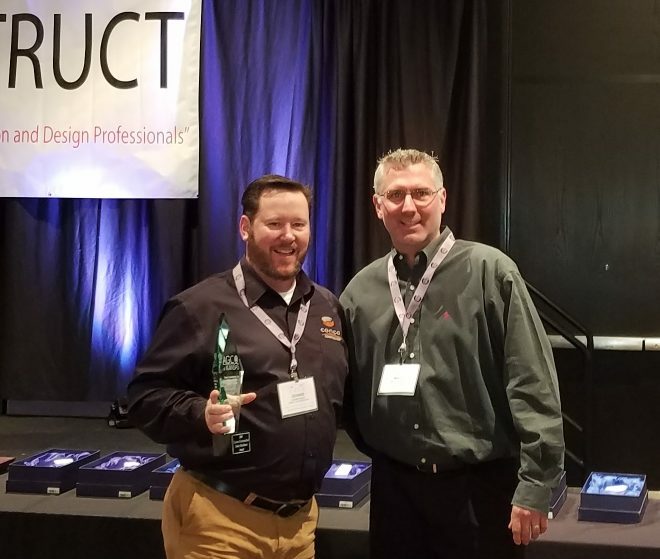 At the National American Building Dealer Conference in San Diego Conco was awarded two Outstanding Sales Achievement Awards. In 2017 Conco was a Top 10 Regional dealer and a Top 25 National dealer. 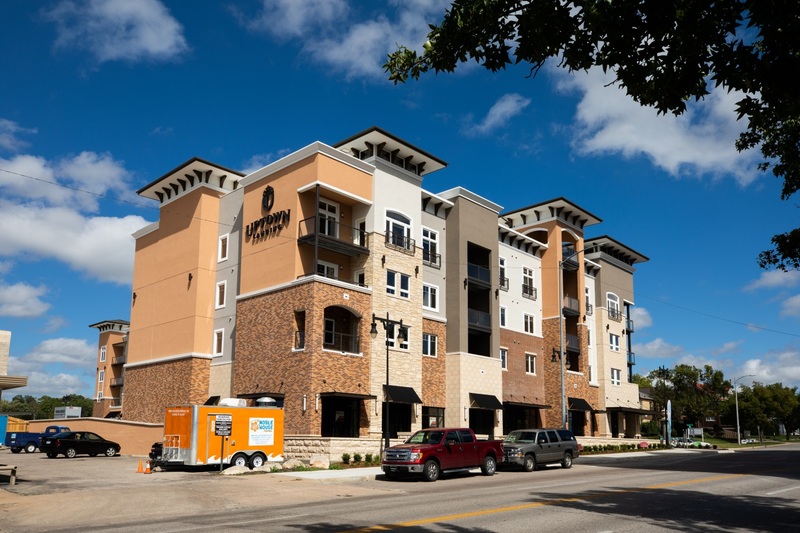 We value our relationship with American Buildings and look forward to the many projects in the future! This week Conco hosted the Health Care Certificate ASHE Training in our training room. Many Conconians as well as vendors, subcontractors, architects and clients attended the training which focused on the challenges of hospital construction. Our plan is to continue to use our facility as a central hub for construction education! Thanks to all who participated! In a recent interview with John Stearns of the Wichita Business Journal, Conco president Craig Nelson indicated the future is bright for his company and the Wichita construction industry. 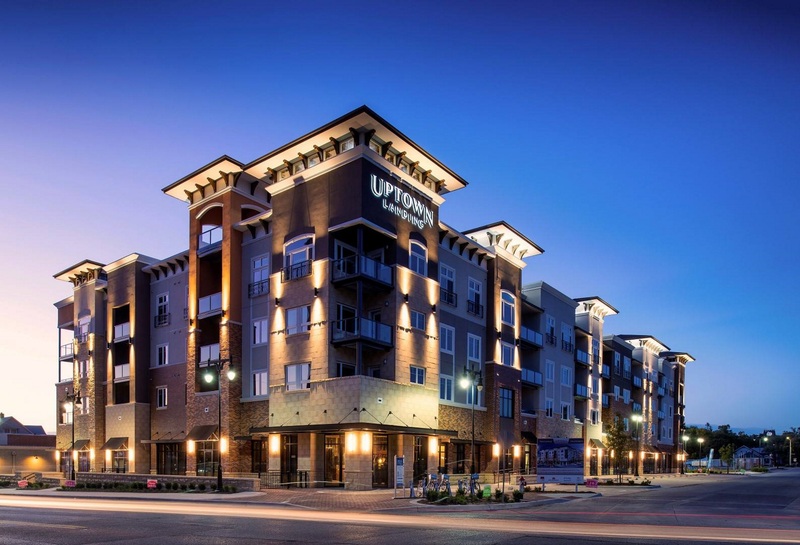 You can read the full article on the Wichita Business Journal website here.